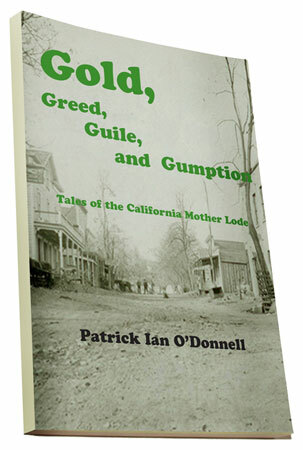 From all over the world the Gold Rush and the years that followed brought numerous people from varying backgrounds to the towns of the California mother lode. They came for a multitude of reasons, hope for wealth being only one. For all of them unanticipated opportunities as well as unforeseen disappointments awaited. The Constable of Angels: Calaveras County Constable Jack Curtis arrests a serial killer and wins the hand of a beautiful widow in the bargain. Suzanna and the Banker: A savvy entrepreneurial woman teams up with a banker to open the finest brothel in Angels Camp. Freedom Papers: A slave, who accompanies his master to the digs, gains his freedom only to lose his life. Come Away With Me: A lonely schoolmaster and a reluctant prostitute learn that together they can find happiness. Cheung Wei and Charlie: A hard working Chinese immigrant turns the tables on an unscrupulous army deserter. The Reverend Mulcaster: Snake oil salesman turned preacher is done-in by his unfaithful adherents. The Saloon Girl: An orphaned young woman rises from saloon hostess to become owner of a successful restaurant in the burgeoning town of Jackson.